Great touring within sight of the ocean! Most people don’t associate the quaint cities of Vancouver Island with rugged mountain adventures. 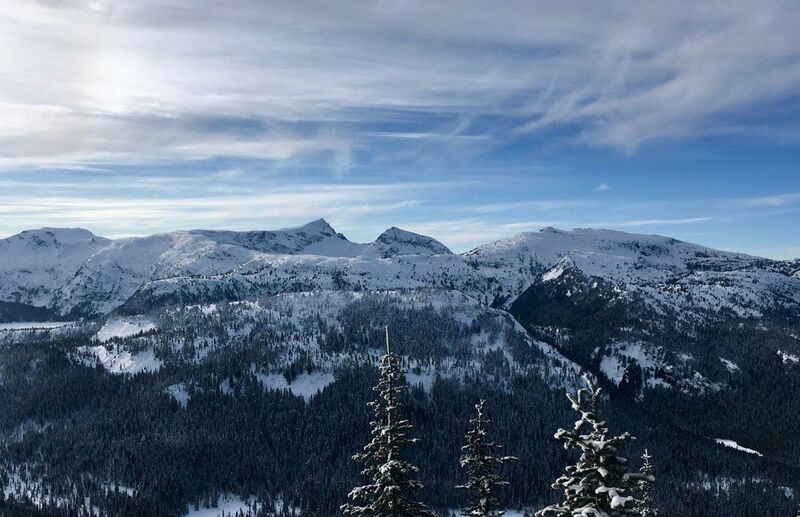 In fact, when the winter months come, the hikers who once explored the trails of Strathcona Park generally confine themselves to a day or two skiing the two local resorts, bustling with the crowds in lift lineups and overstuffed chalets. The same people who pushed their bodies to exhaustions to escape civilization into nature generally feel confined by the boundaries of the ski resort. This explains the explosion of backcountry ski touring – the solitude of hiking paired with the flow of skiing. Still, most people are unaware that backcountry skiing exists on the island, and those who do think it is only for hardened climbers and bushwhackers. As a matter of fact there are numerous easily accessible backcountry destination on Vancouver Island that can be done in a day. Of course we cannot proceed without the obligatory safety note: Backcountry skiing/splitboarding and snowshoeing are inherently dangerous activities. There is no ski patrol, no marked runs, and no management of avalanches. Whenever you travel, always bring a transceiver, shovel and probe, and it is highly recommended to partake in formal avalanche training. Island Alpine Guides runs dozens of AST (avalanche safety training) courses right here on the island. Now, onto the turns! 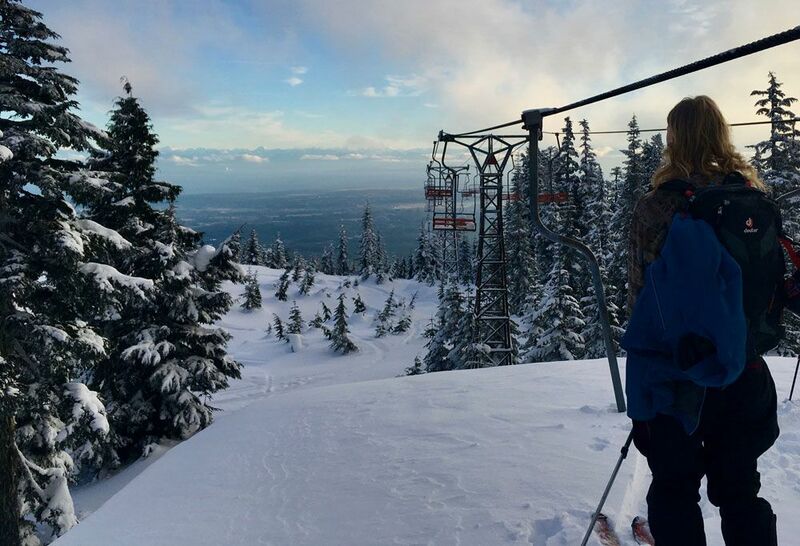 Many people perceive the island’s ski touring as hard fought; requiring hiking up to the snow line from nearly sea level and skinning through pine-needle covered slush just to reach some skiable glades. However there are several frequently plowed roads that go well past the snow-line, giving islander’s excellent access to the subalpine. All of the tours listed below can be accessed with a low slung, 2WD car, as long as you have chains. These two steep knolls towering over Lake Helen McKenzie are clearly visible from the ski hill. From the Raven Lodge (cross country ski hut), take the snowshoe trails which being to the left of the lodge, beside the Strathcona Park summer map. By taking this path you will not have to pay for a nordic pass. This well used trail leads all the way to Lake Helen McKenzie, and since it is mostly flat you’ll be there in no time. If you choose to ski Mt. Elma – the lower of the two options, on the left – ski all the way to Helen McKenzie. If possible, cross the lake and aim for the pass between Elma and Brooks. After gaining the ridge, skin up to the left through relatively sparse glades to the top of Elma. Enjoy the turns down the way you came. If you choose to ski Mt. Allen Brooks, take the less packed skin trail which diverges from the main trail shortly before reaching Helen McKenzie. This will bring you up the north aspect of Brooks. Don’t try and climb Brooks from Brooks-Elma pass (west aspect), as this route is thickly wooded and has several cliffs! Ski down the north aspect and return the way you came. Brooks has some steeper lines, however both mountains are fully within tree-line, and are subsequently a good place to look in times of lower stability. Additionally, Helen McKenzie itself is a fun and easy snowshoe trip for the inexperienced, and yields stunning beauty and solitude. Rising past the now defunct Forbidden Plateau Ski Hill (who’s lodge collapsed in 1999) is the gentle summit of Mt. Becher. The quintessential island day tour for novices, this trail can get busy on weekends with clear skis. The old Forbidden Plateau Rd. still gets plowed semi regularly, so access to the snow line is very easy. Start by parking at the very top of Forbidden Plateau Rd. Skin up from the parking lot and follow the old two-man chairlift to the top of the ski runs. Turn to climbers right (skiers left) and find the well worn skin trail leading towards the eastern tip of Strathcona Park. Pass the entrance sign and continue along the trail. This gently rising path leads to the second major ascent of the tour. You will encounter the only avalanche slope of the trip at the beginning of the final climb, directly beside a steep walled gully. This steep slope definitely has the propensity to slide, so take caution. After passing the avalanche path the summit is clearly visible. This alpine area has beautiful turns to be harnessed! Summit and return the way you came. Tip: maintain as much speed as possible when approaching the flat section, as side stepping a couple steps is far faster than skinning down the slightly graded slope. If you have the energy, or want a more casual tour, do a few laps of the old ski hill and explore it’s slowly regrowing runs. Ski Touring Vancouver Island, looking across east bowl on Mt Cain. If you talk about ski hills on the island most people don’t know that there are actually two still running! The small Mt. Cain Ski Area has only two T-Bars, but gives north islanders fantastic access to amazing terrain. Located near Woss (6 hours from Victoria but worth it! ), the nonprofit community skill hill has a rough, though plowed road accessing the highest base elevation ski hill in the province. Here you will find a basic main lodge with a wonderful restaurant. The beauty of Mt. Cain are the cheap lift tickets, which allow for guilt-free slackcountry skiing. The East and West bowls, located skiers left and right respectively, have some of the island’s best turns. You can access each bowl from the top of the upper T-Bar. 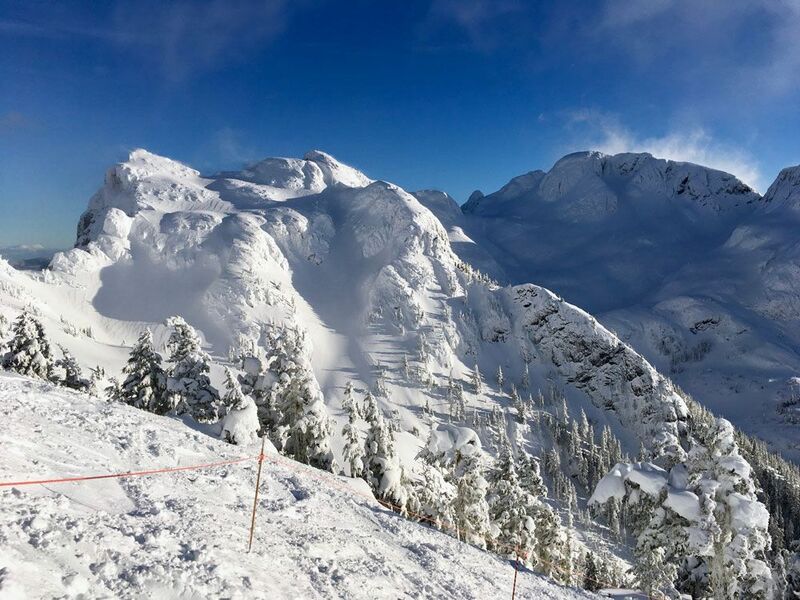 Personally, I would recommend simply asking someone from ski patrol on their recommendations, as typically they know the area really well and have a good knowledge of the conditions that day. Accessing the top of the bowl’s are very avalanche prone, so take care. The run ‘Three O’clock Trees’ into the west bowl, directly off of the lower T Bar, generally has better stability, and is fantastic glade skiing. At the bottom of all these runs are a well defined skin tracks leading back to the base. Since you use the T Bar to gain most of the elevation, the skin back is very easy. Allot an hour or two for one circuit, and definitely factor in a burger at the chalet. This article was contributed by Jonathan Skinnider. Jonathan is an outdoor enthusiast, spending his time climbing, hiking, mountain biking, trail running, kayaking and skiing. He has contributed to 10Adventures on hiking regions in Canada and the United States. Jonathan is an Executive at the University of Victoria Outdoor Club. Great skiing there. But I prefer Banff. I find it more organized.